The best thing about fall fashion is that it's so easy to change your look by changing your layers. 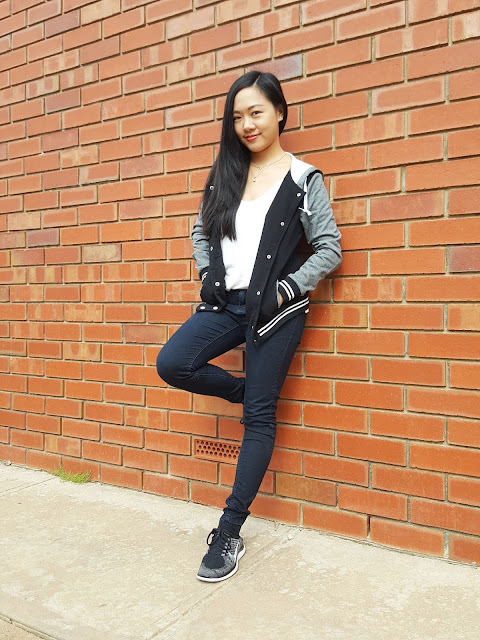 (Although we're approaching summer in Australia, it's autumn in other parts of the world..) So here's a post where I'm wearing the exact same outfit and transformed it to a whole different look by simply changing jackets and shoes. I love how this jacket is lightweight, with a cool and comfortable material. 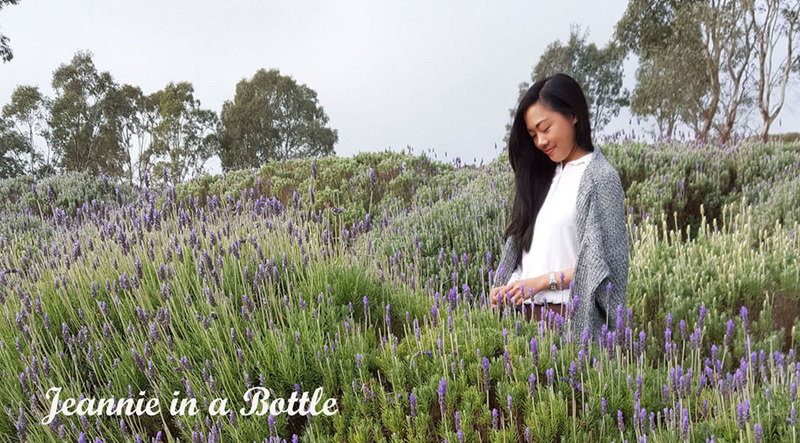 Perfect for cooler Spring days or autumn's mild breezes. I also wanted a casual jacket with a sporty vibe and this one fits that description. I used to not own jackets with hoodies, but boy did I realize how useful hoodies are since moving to Australia. They provide added warmth and protection from rain when needed. Did I mention this baseball hoodie jacket is only $13.77? Steal! Now if after your casual day you're in a hurry to meet up with friends and you want to look cute, swap the hoodie for a cape, rest the running shoes and put on some booties, and maybe don a hat to accessorize. And voila! Like I said, a change of outerwear can change your entire look. I love how chic and fashionable capes are. 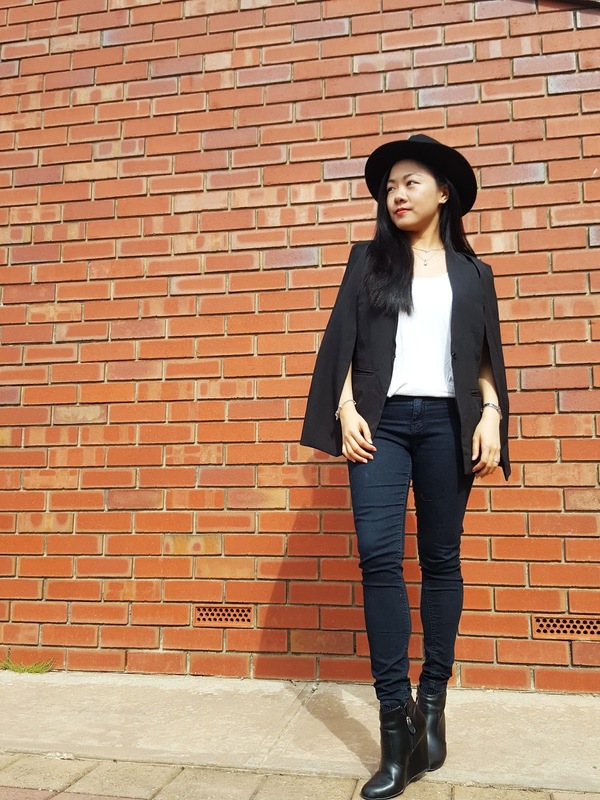 This one from Sammydress in black completes my monochrome look. I topped the look with this wide brim fedora hat for some added drama. Again, changing the feel of the hat to match the tone of the outfit. See how I styled it for a "country girl" boho look HERE. Don't you just love playing with fashion? What's your favorite type of outerwear for autumn? 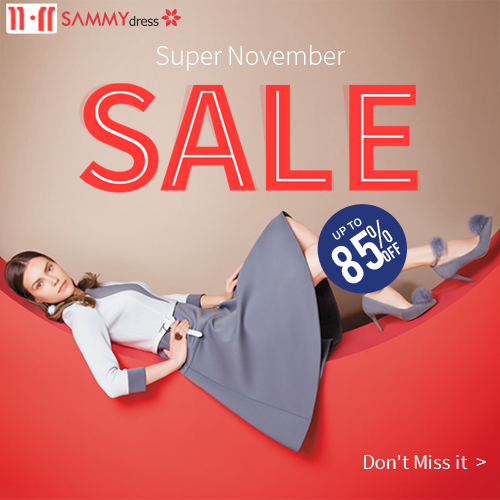 Click HERE for Sammydress Discount Codes! Leave a comment of your favorite Sammydress product link here [Tip: Leave your e-mail at the same time for a greater chance to win a gift card.] 10 winners will be chosen to win $100 gift card. Hurry, ends Nov 31, 2016. I love how you changed this look with different outerwear...very stylish! Nice! I like how you change from casual to sporty! Thanks for your wonderful comment on Qing's Style. Hope to hear from you soon! Nice job on changing the look up. Love the pictures. I love your black cape, such a nice look also with the hoodie! I like both looks but... that coap/cap is the most awesome pic in the intere post! It's amazing! love the versatility of the outfit! Love your cape! It is so chic! Awesome outfits!! That jacket and the cape are so trendy! Love it!! Both looks are awesome. You look amazing in them. Love both outfits!!! Super cute. You look so chic in both of these outfits, I love how you can go from chic to casual. Cape jacket is very cool! :-) Great outfits! Cute post! Love your cape. It's amazing what a difference a jacket can make to an outfit! Love both looks. You look great! Such a cool look from head to toe! Love this! Both outfits look great! 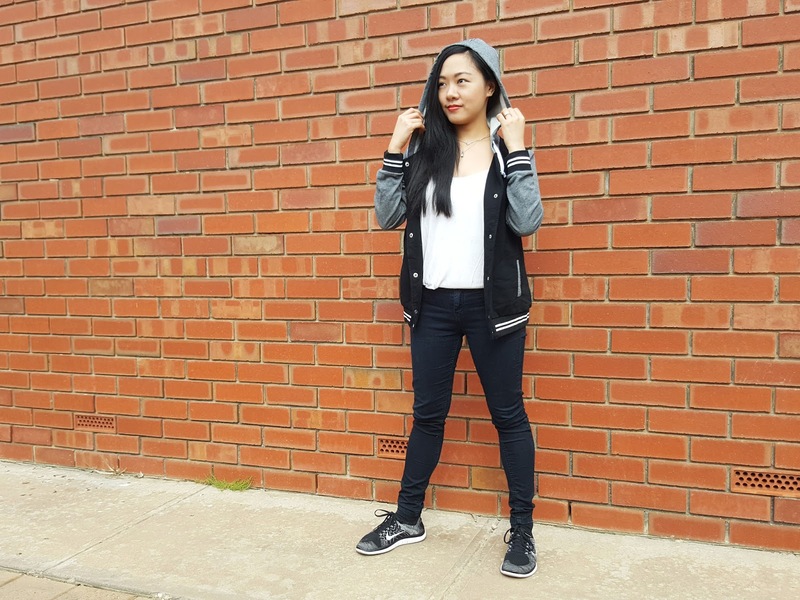 The hoodie jacket is so cool and I cannot believe it is so affordable!! 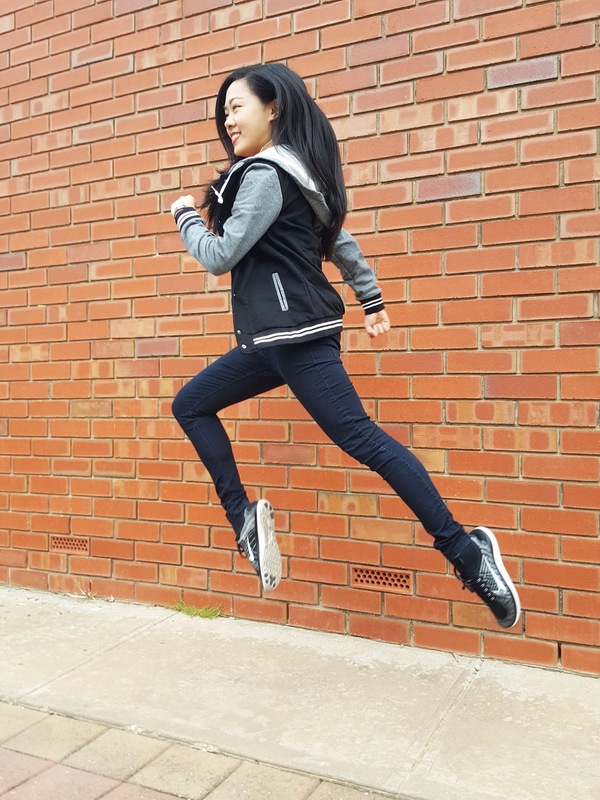 :) I love the photo where you jump, I always jump when taking photos and my fiance is always making fun of me haha! Wow! It's amazing how you jacket really changed up the overall look of this outfit! Love the cape Jacket and hat. Lovely styling. 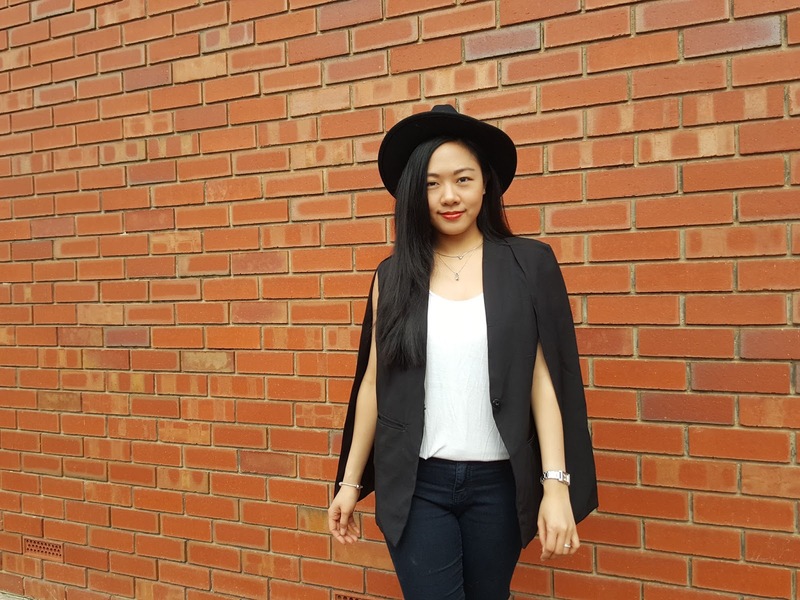 thanks for sharing these tips :) I love the coat/cape look on you best <3 so chic! 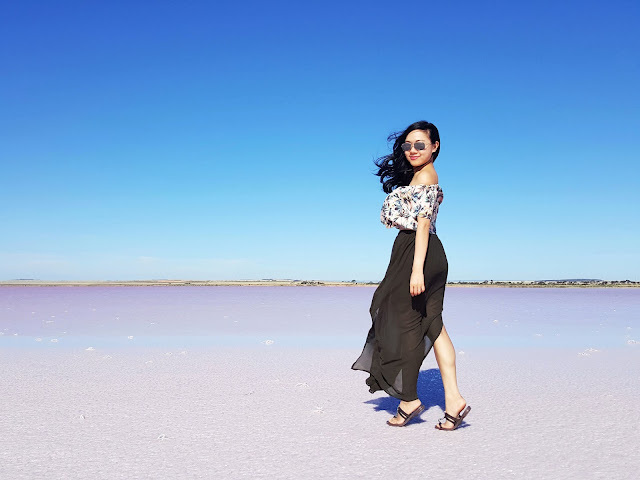 Have you had good luck with SammyDress? I found it to be a hit or miss. That cape is so chic! Love the way you changed up the look with just a different jacket and shoes! 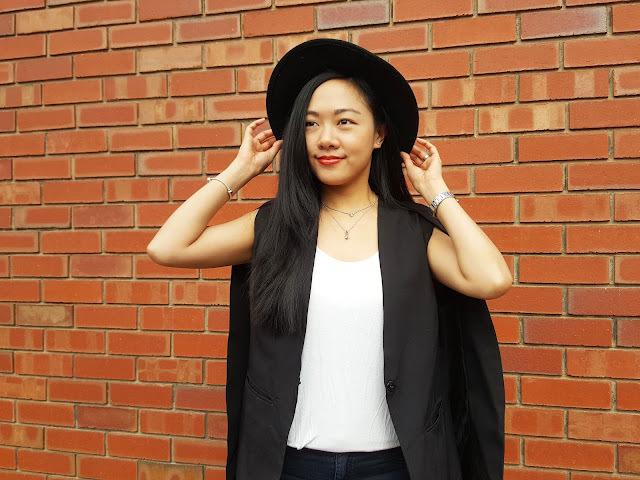 The cape is such a gorgeous way to style it, and I love how it goes so well with the hat. These are all so cute, you look so fab! And can I just say how epic the second photo is haha. 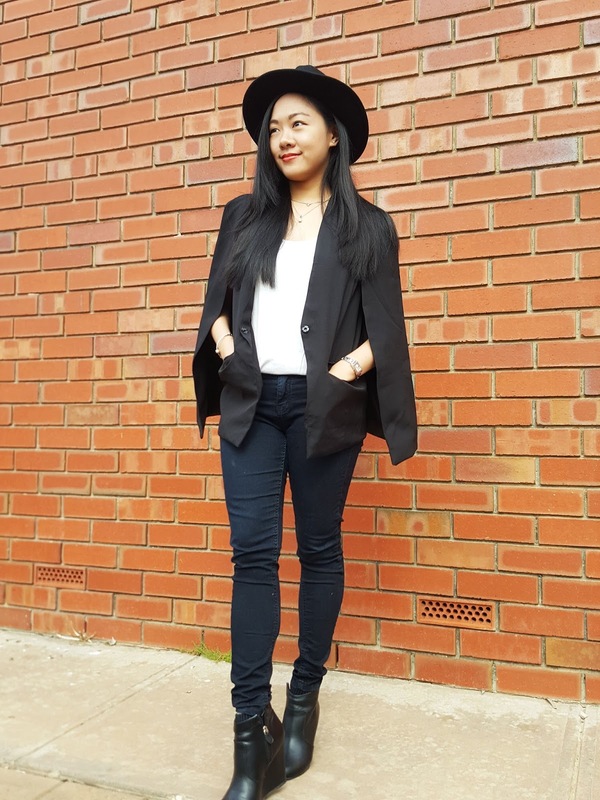 I love how you completely transformed this look with your jacket! Perfectly versatile! love the versatility in all the looks. Those shoe are rocking.Need that cape now. can you be my friend..
i already add your blog in my blog list..taga cebu ka pala..
You totally made that switch so effortless and it looks like compltely different outfits. Giiiil, you killed it from running errands to going out. Love this! Two fab outfits! Love the change up!